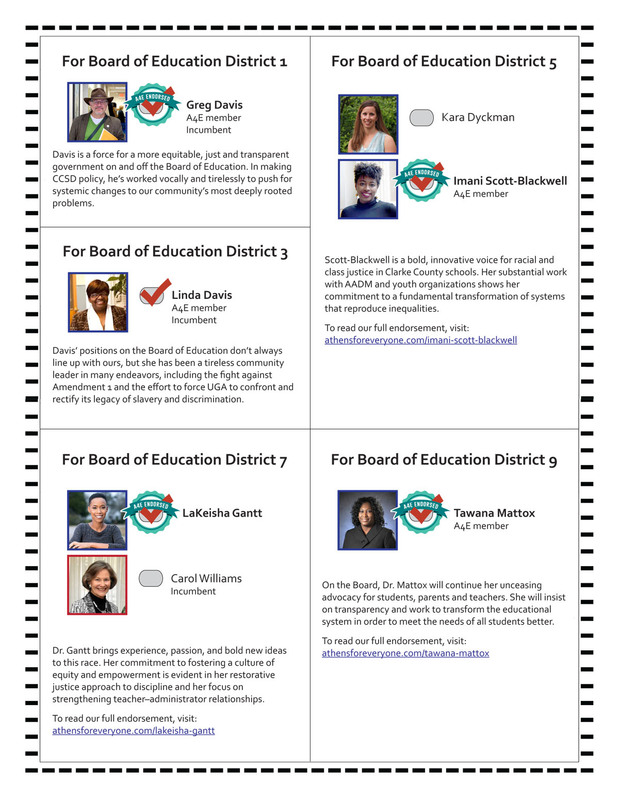 Welcome to the A4E guide to the 2018 primary and local election! 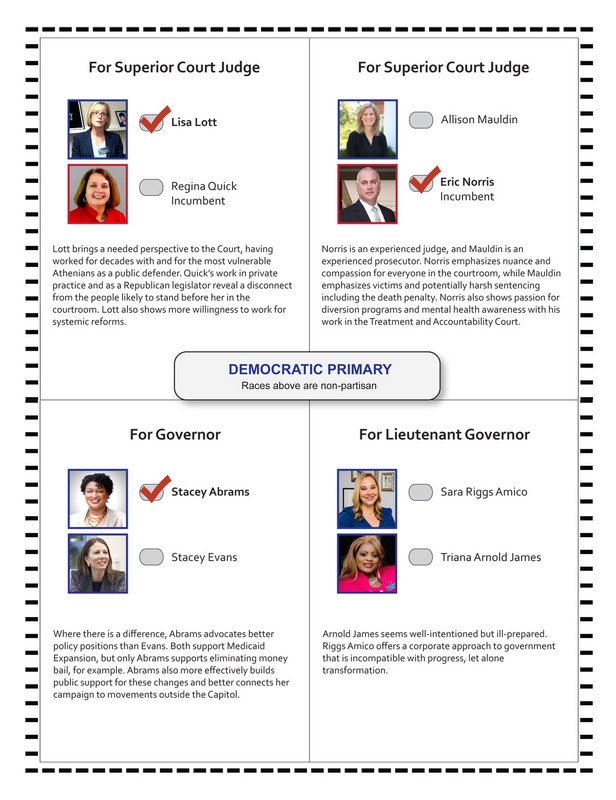 There are so many candidates in so many races this year that we had to make some difficult choices on the presentation of this guide. One potential area of confusion is the order of presentation. We are focusing on the local non-partisan races, not the Democratic primary. 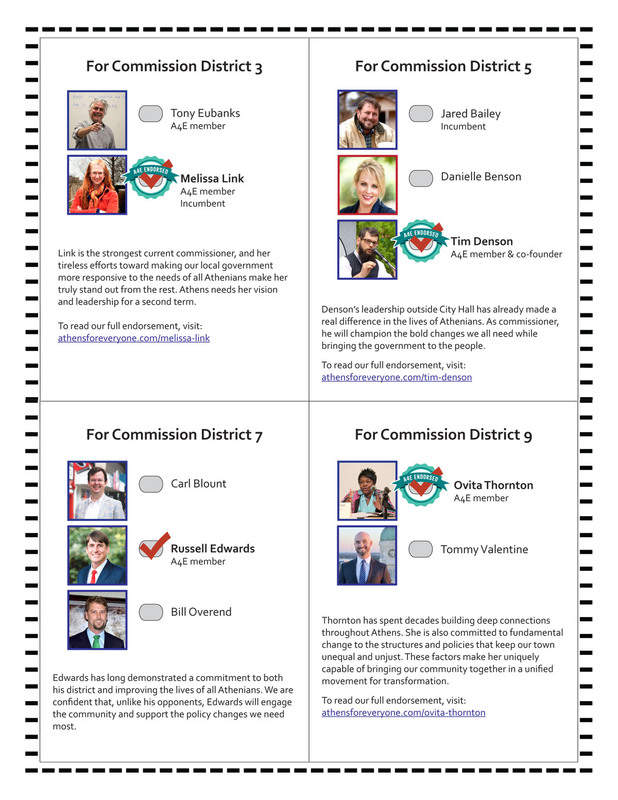 Therefore we will present the mayor’s race first on our guide, even though it will not appear first in the voting booth. 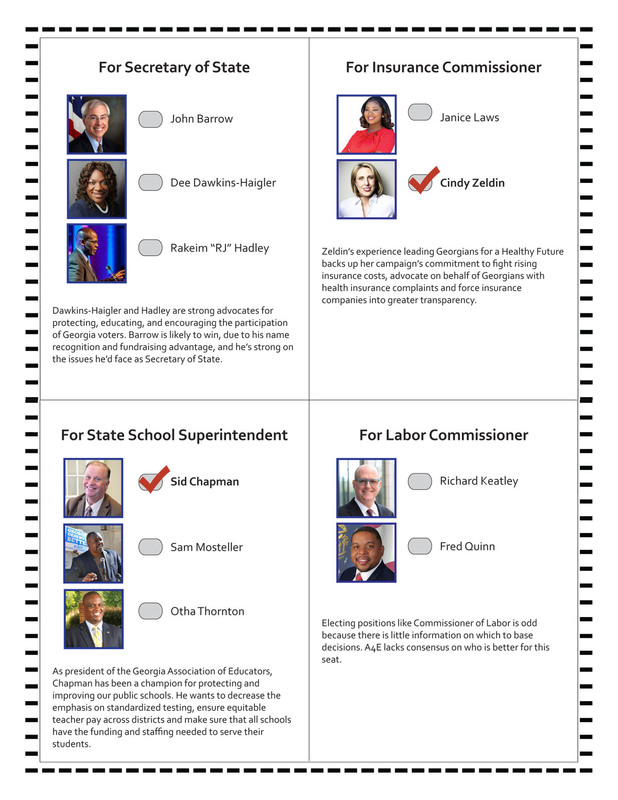 Examine the sample ballots here before you vote. We recommended selecting the Democratic ballot, but the majority of our guide covers non-partisan races that are present on every party’s ballot. We did not cover the Republican primary at all, due to space and volunteer time limitations. One last note: you will see that some candidates have checkmarks next to their names while others have the same checkmark but also have a seal. 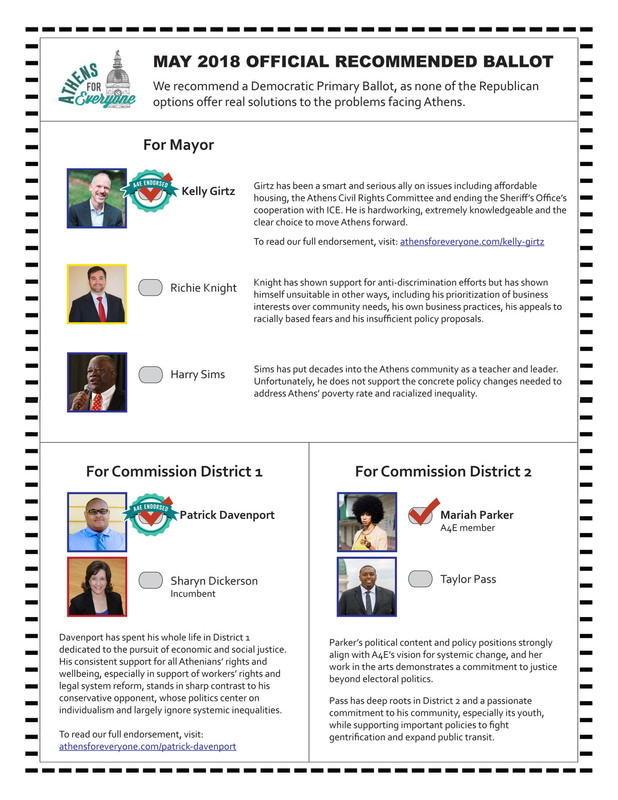 The candidates with the seal are fully endorsed and supported by Athens for Everyone. 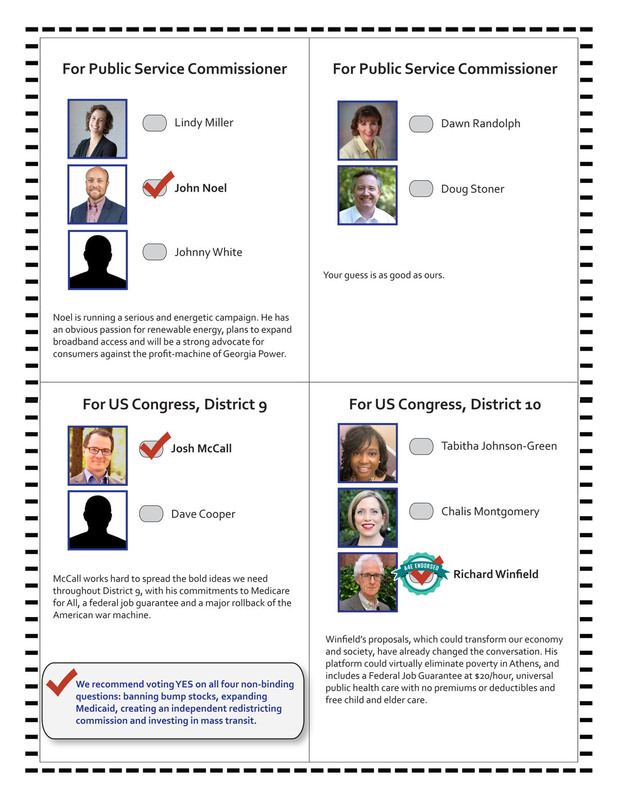 We recommend voting for every candidate with a checkmark next to their name, but we have not spent time or resources in supporting those without the seal (and they may not have been as fully vetted). Like to Learn More about the Democratic Party Questions?